Join the fascinating sustainable dye workshop! The informative lecture about Bengala will be accompanied by a demonstration. 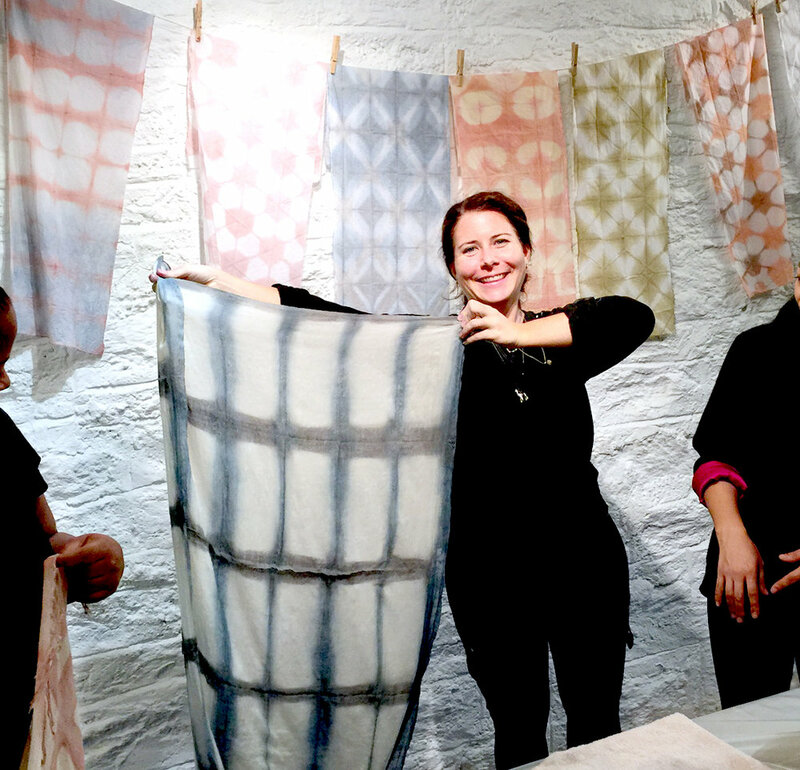 In this class, you'll learn how to dye fabric with Bengala and make your own patterned fabric, using Japanese wooden panels for Itajime-shibori. We supply 12 colors of Bengala plus Aijozome-Indigo color in the workshop. You'll design your own fabric! includes Bengala dye colors, indigo dye, a pre-fixed tenugui cloth, and a larger cotton fabric. Optional to purchase: We offer various materials from silk scarves to hand-spun organic cotton shawls to dye at the same time to take home.